With our star employee- Davis. my friend at Klip Collective made this video a few years ago. TreeWax video installation from klipcollective on Vimeo. Otherwise original. With faint pinstripe and remnants of original decal. they range anywhere from $10 on up to $75. We also have some patches too. Stop in and take a look. Reported at Philly.com- Ikea gave 12,400 employees bicycles, as a reward for a good year, and a bicycle because it "supports a healthy lifestyle and everyday sustainable transport," says Ikea Spokeswoman- Mona Liss. Pretty cool. I like that they were they were smart to not put an ikea decal on it, so it does seem more like a gift than a rolling advertisement. Detroit, Michigan, circa 1912. 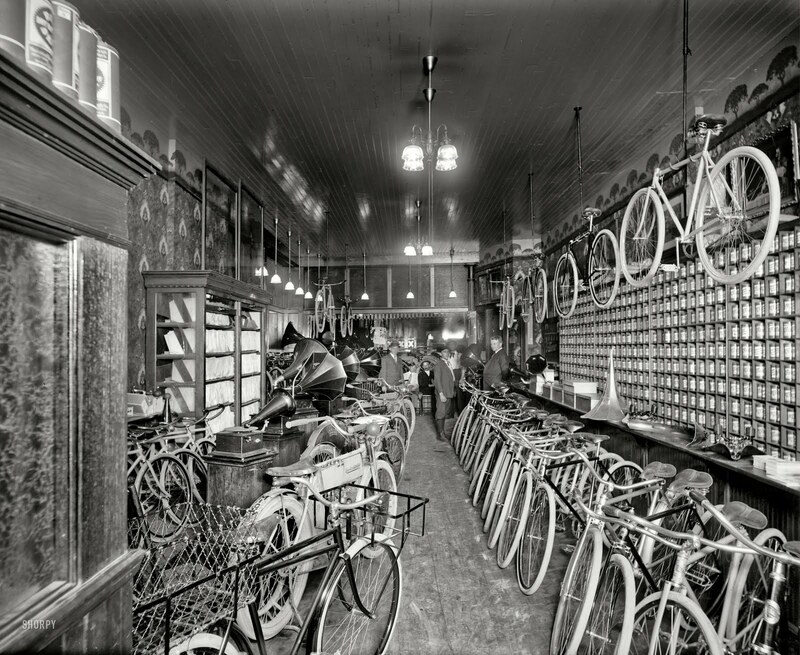 "Metzger bicycle shop. Detroit City Gas Co."
Notice, not a single black tire, all the tires are natural rubber. Nice mixture of single tube pneumatics, Victrolas, and early motorcycles. When it a little less busy in the fall and winter we begun to organize the shop, after a busy summer. One of the tasks is trying to make sense of all the mix-matched pedals, ones that do not have a mate. We use these for repairs and sales. fun. 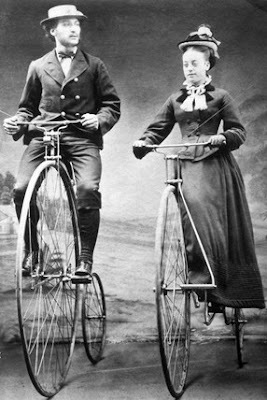 it's not all glamorous with Roger Piel or Campagnolo pedals, mostly these. The Full Restoration Approach-Make as original as it was when first built, replace worn parts with exact replacements of what it originally came it. The All-Original Approach- Keep it all original, as the title suggest. Replace nothing, even if it means the bike then become obsolete. The Period-Appropriate Approach-A restoration that is looser, does not have to be exact, but outfitted with parts that would be of the same time period as the frame. The Updated Remix Approach- This is an anything goes approach. Bike is personalized and set up to suit the rider, no restrictions on what the bike was originally. I love an all original bicycle, unrestored, of course. Most of my bikes fall into that category, but I do have to update perishables such as tires and brakepads, to make them ride able. 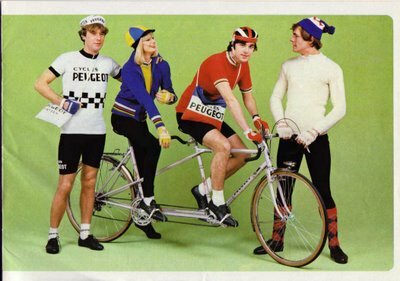 I do have one bike, my chrome Rochet, that is anything but original. It was originally an early 1960s 10 speed bicycle and I have since turned it into a commuter, with upright handlebars, alloy fenders, fixed gear wheels, and porteur chaincase. It is a far cry from what it was originally. 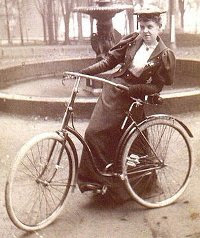 Macaela Blei wrote on Frontier Psychiatrist about her experiences as a woman and bicycle shops. 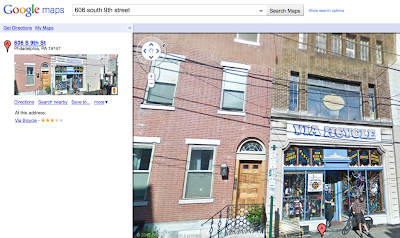 and I hope that we are more like shop #2, friendly and supportive. I know I have always tried to promote cycling and help everyone learn how to work on their bikes. Yes, I understand our shop can be daunting, with sensory overload and a lobby full of customers, but we try to help out everyone, from the most advanced racer or collector to 1st time riders. I wrote about CommonSpace about a month ago on the blog(here), and they are still looking for as much feedback as they can get to improve it before it is officially launched. CommonSpace personalizes an adventure on the town by enabling you to discover places you can reach by walking, biking, or public transit, add destination to an interactive map, and share it with others. Search attractions in dining, drinks and the arts. 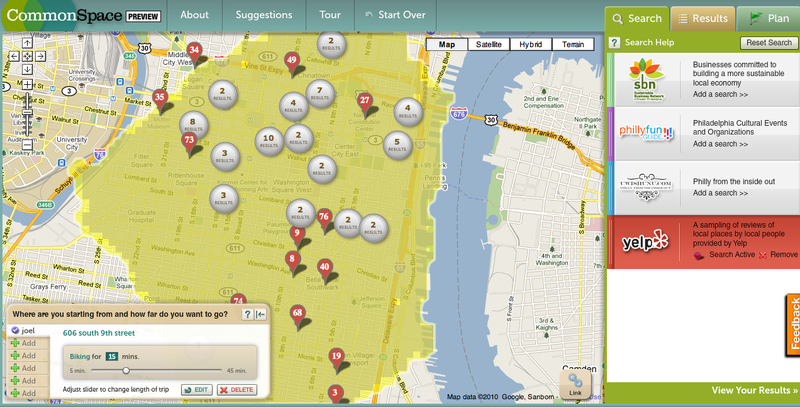 It utilizes Google Maps and then sites like Yelp or Sustainable Business Network to find cool things for you to do. My previous blog post as more info, and of course please visit their website- it is a great idea, and they are looking for feedback. 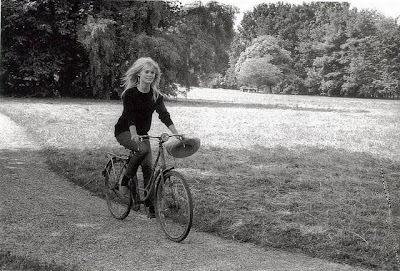 A friend has started a blog, all about images of movie stars and their bicycles. Simply titled Rides a Bike, it has a lot of promise and I know my friend has a large library to add to it. So check it out and follow it, it has good things to come. Photo above is Bridgette Bardot. Rides a Bike link here. 1954ish. with locking fork, key included. We prefer not to Ship it as it is big and heavy. Very nice image of an early track racer. Found in a trendy store during my trip to New York. Take note of the vintage toe-clips. No straps. We occasionally get those toeclips in for sale, email if you are looking for a pair. New York City streets are comparably more bike friendly than philadelphia, with more dedicated bike lanes, but Philadelphia has recently been making the effort to catch up. NYC also has an amazing bike path that runs along the west side of Manhattan, that allows you to ride along the Hudson River from the lower east side, all the way past the George Washington Bridge. 2010 Philly Bike Expo from chariandconyc on Vimeo. thanks Jules for the link. 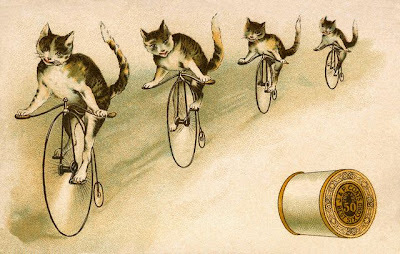 On November 20th, 2010 at 2:00pm in Tompkins Square Park, over 200 cyclists will gather to begin the twelfth annual Cranksgiving, a charitable ‘alleycat’ bicycle street ride. In Cranksgiving, riders race around Manhattan purchasing Thanksgiving dinner ingredients at designated grocery stores, arriving at the finish line with a bag full of food to be donated to various charities. 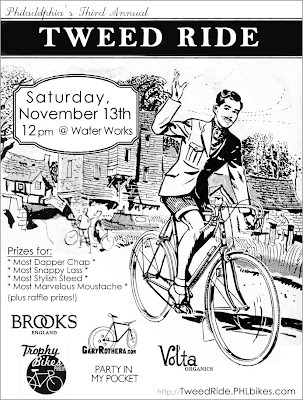 Cranksgiving is a race, but riders of all abilities and stripes come out to participate in the fun! Bring a bag, some money, and a good lock, as this year's prizes include messenger bags from Bailey Works, MER, Seagull and Chrome, $150 gift certificates for 5.10 shoes, A Torker Cargo T bike donated by Brooklyn Bike and Board, as well as 3 $100 gift certificates courtesy of the Gilt group, to be redeemed at Gilt.com. This year’s race features unparalleled opportunities to donate, even before the ride! Tiny’s Sandwich Shop (129 Rivington Street) is offering up to $6 off of their delicious sandwiches when you donate $25 and over at the store. Also, inn conjunction with the race, Hipstamatic is donating $1 to Cranksgiving for every photo uploaded to http://community.hipstamatic.com/contests/24 . Finally, if you can’t make the ride or get to any of the donation locations, go to www.cranksgiving.org to pledge to the Cranksgiving fund, benefiting City Harvest and the New York Bicycle Messenger Foundation. Last year’s Cranksgiving helped feed over 100 families through Saint Mary's soup kitchen on the Lower East Side, City Harvest and the New York Bike Messenger Foundation. This year, as more and more people find themselves in desperate times, Cranksgiving hopes to step it up and smash all previous records. To more learn more about Cranksgiving, visit http://www.cranksgiving.org "
Labels: charity, New york City, thanksgiving. 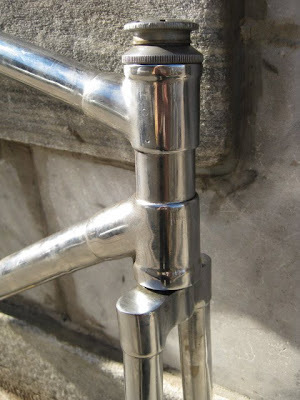 Nice adjustable stem. wood wheels. BSA cranks and Brooks early saddle. Chrome track frame with BSA cranks and Bottom Bracket. Coatesville, PA to have the first indoor Velodrome on the East Coast. Well, they are talking about it again. 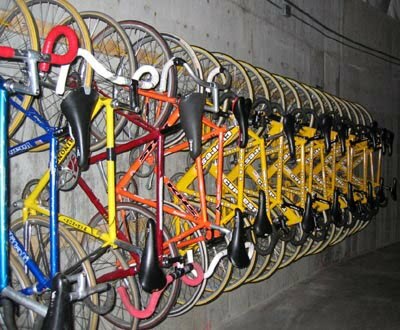 It would be a great way to get more people into track racing, and get some of these Fixies off the street and to good use. They have proposed it a couple times, maybe this time it will stick. Like I have always said- "you have to put it out there, for them to put it in there." Never seemed more appropriate. Frontier Psychiatrist recently did a review of the Sun Airwaves video that used our French Lapeyle bicycle, and just posted some indie rock videos that featured bicycles prominently. This video was not on the list, but it features my friend Spank Rock, so I must include it. from Art In The Age on Vimeo. Opening Friday, November 5 · 6:00pm - 8:00pm. "Bilenky Cycle Works was founded in Northeastern Philadelphia in 1983 with the goal of meeting the specific needs of the individual cyclist. Stephen Bilenky recognized the need for specially proportioned frames and components for riders of all shapes and sizes, and began creating a range of custom products to answer the outfitting needs of recreational, fitness and utility cyclists from all over the world. BCW’s philosophy of perf...ectionism shines through in every bike they build. Their frames can be compared to a bespoke suit, tailored to fit both the rider’s aesthetic and physical needs. Whether it’s waiting four weeks for a retro-fit to come back, or four months for that super-customized nit-picked-over-every-detail dream bike, one ride on a Bilenky bike will prove that it is in a league of its own. For the month of November, Art in the Age and Bilenky Cycle Works will demonstrate the craft of custom framebuilding. By creating a miniature version of the Bilenky shop within AITA, Stephen Bilenky and his crew will highlight the specific build qualities and artistry that set a Bilenky bicycle apart from the rest. Join us at AITA for a unique behind the scenes look at this rare craft." 54cm center to top seattube. 54cm center to center toptube. Original paint and decals. Early 1980s. Built for front and rear brakes. Some rust at fork crown. would need to be replated if going for Show bike. Indirectly part of the Philadelphia Bike Expo, we offered collector types and enthusiast who were interested to stop by and we would give them a brief tour of the shop and answer any questions that had that was bike related. Yes, only bike related. 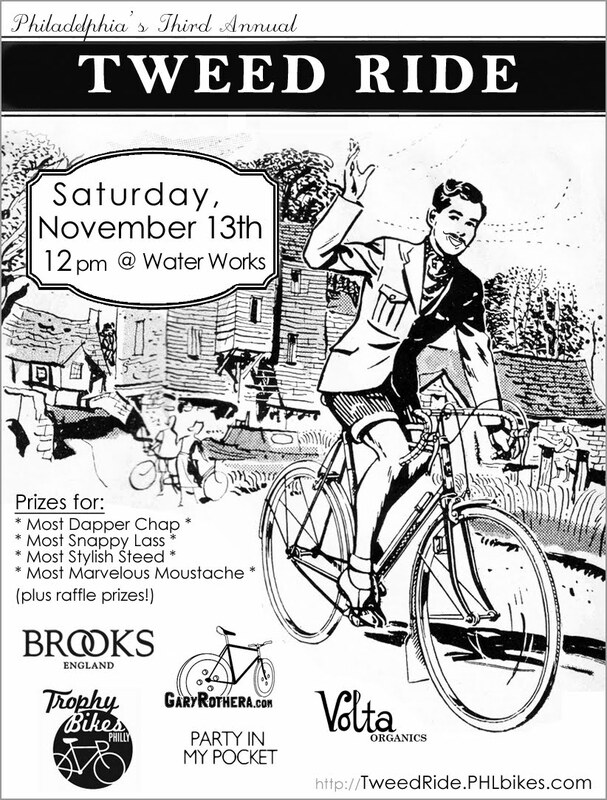 Philadelphia Bicycle Swap meet this sunday. WHAT: On Sunday October 31st, in conjunction with the Philly Bike Expo, NY Bike Jumble will be presenting a bicycle flea market. The event will be held on the street adjacent to the Expo venue, at the historic 23rd Street Armory (22 South 23rd St. between Market and Chestnut) in Philadelphia, PA.
At this one day only event, vendors will be on hand to sell bicycles, bicycle components and clothing to the public. Good deals abound as do good times! Come down between 10AM and 4PM and remember, the early bird gets the worm! To more learn more about NY Bike Jumble and the Philadelphia Bike Expo swap, visit www.nybikejumble.com. The South Street Bridge is reopening Nov. 6th, 2010, and it's accessible to bikes and pedestrians BEFORE cars! It opens to bikes at 2pm, and cars at 3pm. We have all used Google maps with the bicycle option, but CommonSpace takes mapping and planning an adventure to the next level. Plotting out approximate range one would travel within a time frame either biking, walking or public transit, and welcomes you to discover new places. It could make for a nice spontaneous date, or just something fun for friends to do, and it tries to promote local business, and the use of alternative transportation(read, no car option). It would be great to have as a smartphone application. . . They are currently running a survey and one could win $100 gift certificate just for participating. The Sustainable Business Network, Azavea, William Penn Foundation, and nPower launched the pilot phase of CommonSpace in August, it will last until October 31. 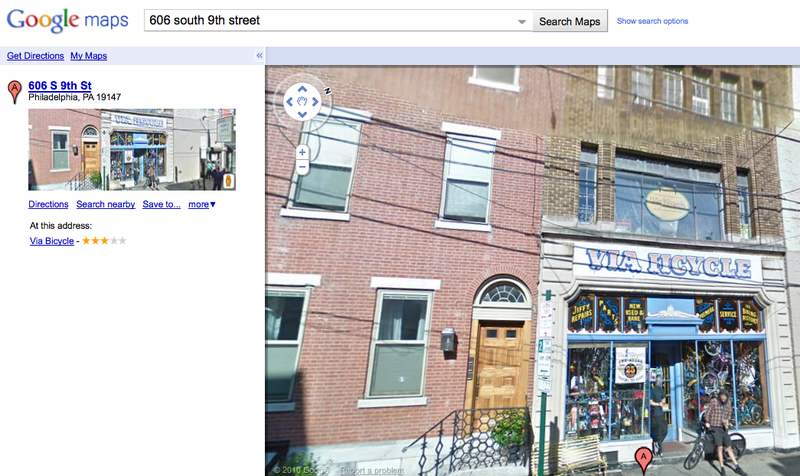 CommonSpace is Philly’s new way to discover neighborhood destinations near you and your friends. The CommonSpace website enables you to specify how long you are willing to bike, walk, or take public transit, and the types of events or venues you wish to visit. 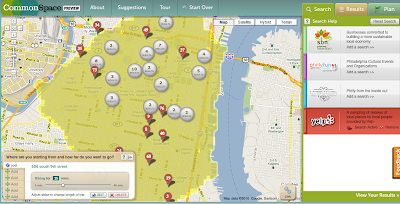 Using this information, the site creates a personal or group geospacial “transit shed” within which local neighborhood venues, events and restaurants are highlighted. Visit CommonSpace at http://commonspace.us/ and you can provide feedback through our online survey or by clicking the feedback tab. As an incentive, we've added a contest: those who complete the online survey by October 31st will be entered to win a $100 gift card to a Philadelphia restaurant, including White Dog Cafe; Picnic; Earth, Bread and Brewery; and Mugshots Coffeehouse and Café. 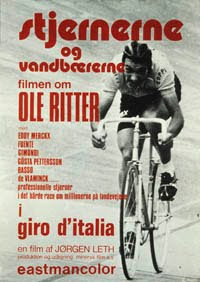 "This is an 8 minute version of our 55 minute documentary Beauty and the Bike. The film follows two groups of young women from Darlington and Bremen. Between them, they discover what makes - and stops - teenage girls from cycling. The answer? "It's the Infrastructure, stupid!" The full DVD is available from www.bikebeauty.org"
I know I am really plugging this event in Philadelphia, and it is in Philly and does have some vintage bicycle workshops(on Sturmey Archer hubs, Cinelli bicycles, and seminars on bicycle industry trends). But it also has a fashion show and everyone should attend. I will be there, and I might say I will be there with bells on....it is the day before halloween. Maybe I will dress up as a bike?? 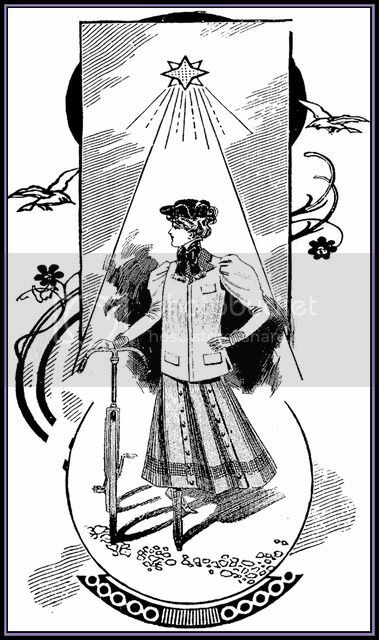 (click on image for Fashion Show information). Previous fashions, what does the future hold????? For Sale-Cinelli steel track handlebars-SOLD! New old stock. Never installed. Stamped model #14. 38cm width. 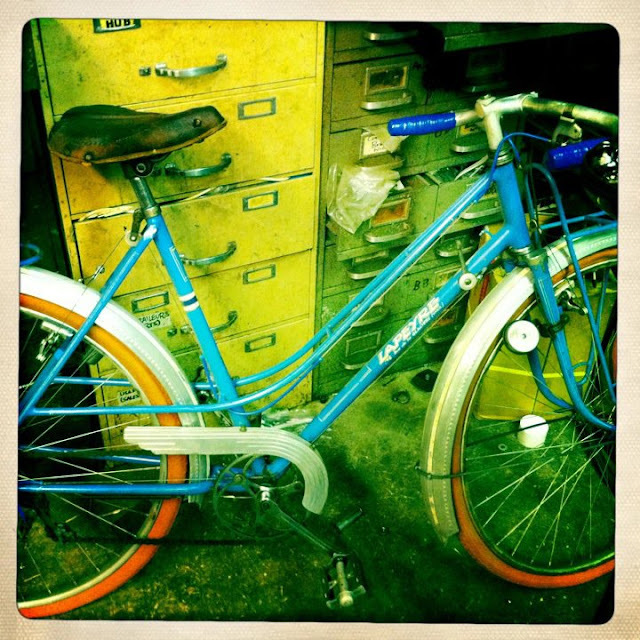 Video a Via Bicycle friend and customer directed and shot with one of our cool old French bicycles. Put the Days Away - Official Video from klipcollective on Vimeo. 2 hard tire safeties, the one pictured on the blog, and a very nice original ladies model, will be at the Hershey Car Show this week. chocolate field. Spot- c4a11 . Stop by and say hello. 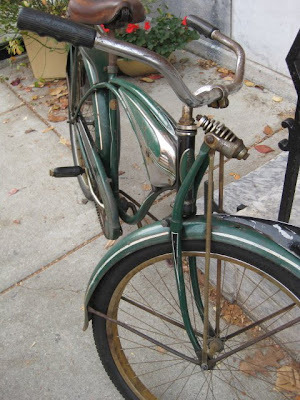 A nice early 1950s French city bike with early Mafac cantilever brakes. Beautiful.